An elderly man had his wallet stolen after being targeted by a suspected bogus caller. 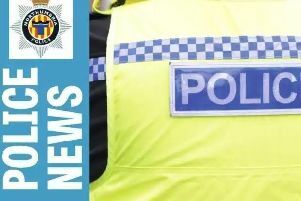 A man posing as an Environmental Agency worker attended an address in North Shields between 11.10am and 11.20am on Wednesday, April 13. He spoke to the 86-year-old male occupant and told him checks needed to be made to his water system. The man entered the house and while inside he stole a wallet from the dining room before making off. Police are now appealing for any information about the incident and are warning members of the local community to be on their guard. Superintendent, Mick Paterson, said: “This is a timely reminder for people to be vigilant. We believe that the suspect has targeted this address because of the vulnerability of the occupant. “The man was wearing a high-vis jacket with the writing ‘Environmental Agency’ on the back and is believed to have made off by foot after leaving the address. “Enquiries into the incident are on-going and we appeal to anyone with information to contact police straight away. “We also want to warn people to be on their guard against this type of crime. Always check the identities of any workmen or door-step sellers and the company’s credentials before letting them in to your home. “Genuine callers will not mind being asked to come back at a different time so their identification can be checked or while arrangements are made for a relative or friend to be present when they return. Enquiries into the incident are ongoing and police ask for anyone who may have information to contact police on 101 quoting reference 374 13/04/16 or Crimestoppers anonymously on 0800 555 111.